Welcome to the Hampton Inn Ithaca hotel in Ithaca, New York, where we feature 66 beautiful rooms designed for your enjoyment, whether traveling for business or pleasure. The Hampton Inn Ithaca hotel is pleased to provide our guest with a complimentary hot breakfast and newly designed guest rooms Our professionally trained staff works hard to provide our guests with exceptional service.Located in the heart of the Finger Lakes region and the lovely city of Ithaca, New York, the Hampton Inn Ithaca hotel is in close proximity to Cornell University, Ithaca College, New York State Parks and the Finger Lakes Wine Trails. 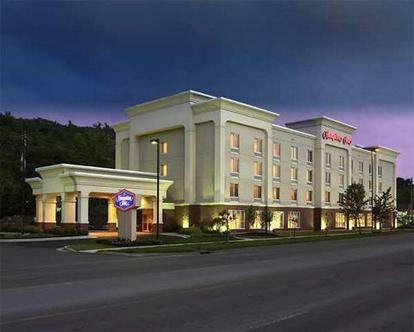 We love having you here at the Hampton Inn Ithaca hotel in New York.